Milan Grujic was born in 1963, in Sibenik, Croatia. He graduated from Marine University in Split, Croatia in 1988 what was followed by employment in the merchant navy for next 10 years. After sailing over all the world seas, in 1998, he becomes a land-based maritime professional. In 2015, he decides to take over Pacha as her captain as well, being her owner from 2014. Milan’s unquestionable experience guarantees safe and pleasant sailing. Born in 1993, in Split, Croatia. 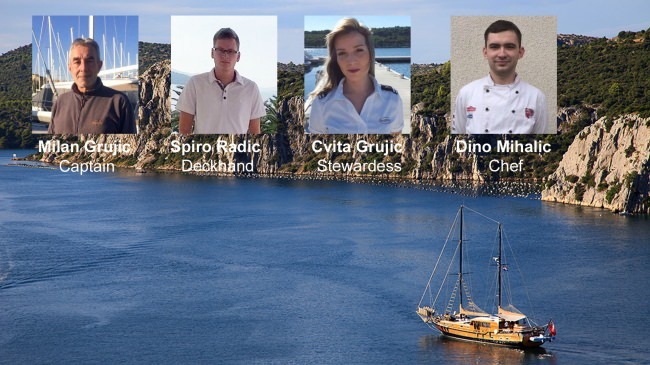 As a passionate sea lover, Spiro started his skipper experience in 2012 when he graduated from Mechanic Technical School in Trogir, Croatia and obtained Boat Skipper Category C Certificate. Over the next couple of years, he gained significant experience working for Aventur Charter, Trogir, Croatia, taking care of different kinds of yachts. Spiro is experienced in mechanics and IT fields as well. As a skilled deckhand, dedicated worker and an excellent team player, Spiro is the part of Pacha crew from 2016. Born in 1992, in Sibenik, Croatia, Cvita grew up in a long hospitality tradition seaside town – Sibenik. After graduating from Hospitality and Tourism Management School, Sibenik, Croatia, she enrolled to Culture and Tourism Studies at University of Zadar, Croatia. She started her yachting stewardess career during her studies, in 2011. 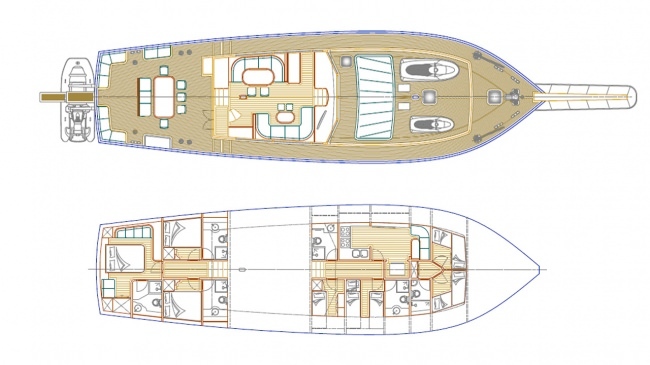 Before joining Pacha, Cvita worked on mega yachts, where she gained both knowledge and experience. She is a hard working and motivated professional, ready to meet all clients’ needs with a big smile. In her free time, she is a passionate sport and fitness lover. Cvita decided to change mega yachts with the family-owned Pacha in 2015. and continue her luxury hospitality career. Born in 1993, in Sveti Ivan Zelina, Croatia. Interested in different cuisines and tastes ever since he was a little boy, Dino grew up to an ambitious and motivated chef. His work-of-art cooking will definitely tickle your imagination. Starting his culinary career during his studies at Chefs College in Zagreb, Croatia, he worked in well known Sheraton Hotel in Zagreb, Croatia. Continuing his professional path, he was named the head chef of restaurant Arka in Skradin, Croatia from 2011 to 2013, the head chef and shift manager of Restaurant Lav, Zagreb, Croatia from 2014 until he joined Pachas team in 2016.